Why do people opt for Cheap Content Writing Services? Not everyone who needs content can necessarily afford the services of the top companies and writers in that line of work. When people face such a situation, they turn to cheaper alternatives. These are usually inexperienced freelancers or non-native English speakers, both of whom offer lower rates than their more experienced native English speaking counterparts. Even though the modern times keep telling us that cheap equals bad, there are certain merits in opting for these cheaper services. The first and most obvious advantage is the prices, which are much more accessible than those of the bigger and more professional companies. And contrary to what the first impression made by the word “cheap” implies, low prices don’t have to guarantee low quality. There is always a chance that you may find a writer capable of producing quality content even at such low prices. Still, the quality provided by cheap services usually suffers due to the two factors already mentioned – writer inexperience and lack of English proficiency. The prevalent problem here is not that quality is always bad. It can also be quite good, and this is where issue rears its head – inconsistency. Seeking cheap writing services, especially freelancing platforms which don’t include the customer in the writer selection process, makes it something of a gamble. If you lose that gamble, you would need to spend more money on edits and rewrites due to poor grammar, unnatural sentence structure, monotonous text and the like. Therefore, it is important to keep in mind that writing service which are bad and cheap might end up costing you just as much, if not more than the services of the more expensive, quality content writers. The listed services are ranked on a simple basis – finding the lowest price with the minimal drop in quality. 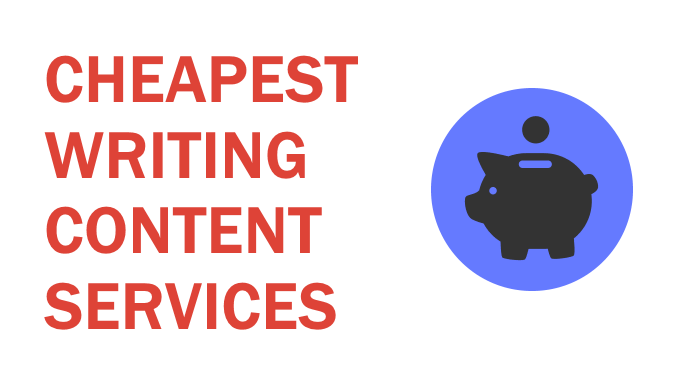 Below you will find the 10 cheapest content writing services that are nonetheless capable of fulfilling your content needs. But if you’re not looking for a cheap service and would rather have quality over affordability, check out our Best Professional Writing Services article. Godot is one of the more expensive entries on this list, but only by a hair. This Indian company has a standing reputation with over two thousand satisfied customers internationally. Their team of writers is highly versatile, all of them being post-graduates with experience in the industry. Even though only article and blog post writing can qualify as “cheap” out of all the services Godot offers, they are of very high quality, original and SEO-friendly. This makes the company a very good choice for these two particular types of content, while their other services cost somewhat more. 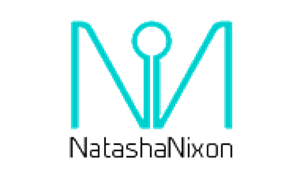 If you’re looking for assured quality at a low price, look no further than NatashaNixon. The writers employed are all experienced, native English writers capable of delivering nothing but quality SEO content. The company is driven by a customer-oriented philosophy, aiming to provide precise, well written content delivered in the shortest possible amount of time. NatashaNixon stands out from the other companies listed here since they guarantee quality at a remarkably low price. There is none of the inconsistency one has to deal with when going through freelancing platforms, and the company openly shows samples of their work. You will know exactly what you’re paying for with this company, which duly places X on this list. HireWriters offers the services of thousands of writers from different backgrounds with varied levels of experience and diverse writing styles. What immediately catches the eye is just how low the prices are compared to some other options out there. This definitely makes HireWriters a viable choice, but as always, low prices raise concerns about content quality. Even though HireWriters claims that they are connected with a large number of native English writers, the truth is they also employ non-native English writers as well. This gives rise yet again to the ever-present problem of the inconsistency with freelance writing services. Ultimately, whether you will get satisfactory content that won’t need rewriting comes down to the luck of the draw. All things considered, there are better options to go with, but HireWriters places 10th on our list primarily because of affordability. iWriter is a large and busy freelance platform, currently home to over 700.000 writers. A number of services are offered on the site, including articles written from scratch, article rewrites and blog posts, as well as press releases and eBooks. All of these services are offered in four quality tiers which are priced accordingly – standard, premium, elite and elite plus, but only the first two qualify iWriter to be included in this list, as the latter two are much more expensive. The low prices which only get lower with the increase in target word count present a very good deal. However, the main problem arises with the disparity in quality offered by the lower quality tiers presented in this list. Obviously, hiring freelancers through a medium such as iWriter without your direct involvement in the writer selection process is a bit of a gamble. And, if you’re willing to take that gamble, you just might get good content at very low prices from the X company on our list. We have written a detailed review about 99CentArticles, which you can read here. 99Cent Articles is a company that prides itself on having a qualified team of native English writers, all the while offering prices which are competitive with the content produced writers outsourced from non-English speaking countries. Apart from article writing, the company also offers a number of other services such as SEO, graphic design and social media management. When taking into account just how low the prices are, combined with the number of services that the company offers, it is obvious why it is included on this list. 99CentArticles is one of the best options when in need of cheap content in the long run, as well as when needing more than just content writing services at low prices. In the end, 99CentArticles places X on the list. 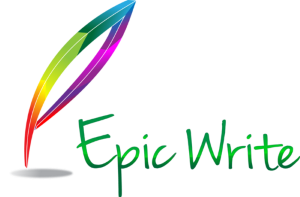 When it was established in 2010, EpicWrite made it their goal to set the bar as low as possible when it came to prices. The company targets small businesses, online marketers and web developers and offers their services in three different packages. Apart from the obvious differences in quality level, these packages also include a varying number of allowed revisions, whether the article will be proofread and whether it will be written by a native English speaker. EpicWrite likes to keep it simple and to the point – their site includes little more than the most important information. After the registration and order placement which are both simple processes, the user can expect to receive the requested content in five to seven days, depending on the service package selected. When it comes to finding a good content writing service on a budget, EpicWrite is certainly a good choice. Their experience, along with the many businesses they worked with over the years, place it firmly at the X spot. HighTech Ocean is a rising content creation company with a focus on the field of information technologies. Apart from content writing, they also provide the services of graphic design and internet marketing. The remarkably low prices which the company offers are made possible by their outsourcing of writers from around the world. Even though one can’t expect top quality content from a company which outsources their workforce at such low prices, those very prices are what makes the company’s service available to customers on a budget. An additional plus which helps then rank X on this list is the versatility which they offer, as they would be able to provide you with more than one service, depending on your needs. ContentMart is an Indian freelance marketplace currently home to tens of thousands of writers ready to fulfill your content needs. The customer interacts with their chosen writer directly, and all the writers provide detailed background info along with a breadth of customer reviews, ensuring you know who you’re dealing with. The obvious downside to ContentMart is that the writers found there are not native English speakers. This is bound to impact content quality, but this may be something that can be looked past or easily fixed through editing. A bigger flaw would be the fact that the services of 4-star and 5-star writers come with price tags that are outside the range of what could be considered cheap. But still, if their 2-star and 3-star quality options are deemed satisfactory, ContentMart is a viable choice, ranking at the X spot. The remarkably low prices are what makes Luminative Holdings stand out. All the content produced is SEO-friendly, proofread and with quick turnaround times of under four days. This small group of Pakistani writers delivers well-written informative articles relating to all subjects apart from medicine. Luminative Holdings may be a small group of non-native English writers, but the work they do is more than satisfactory based on both the sample text and the customer reviews they have to show. Apart from that, it is their extremely low prices and good customer support that help them place X on this list. With a very fitting name, The Article Factory produces content quickly, efficiently and at very low costs. The prices are some of the lowest that can be found, and a number of customer ratings and reviews on the site testify that The Article Factory provides content of more than sufficient quality given the incredibly low prices. The Article Factory may very well be the best option for customers on a budget who seek large quantities of adequate SEO content within small timeframes. On the other hand, those who pay more mind to tempering low prices with quality would more likely opt for another service, ultimately placing The Article Factory at the X spot on our list.